An open house doesn't hurt a home's chances of selling, but whether it actually sells the house is debatable. It's not unthinkable to make a sale at an open house, but it is unlikely. The reasoning has to do with the people who go to an open house. Most buyers who are seriously shopping for a home are working with a real estate agent. They get new listings from their agent as new homes come on the market. Their agent takes them out to look at homes, and they get private tours. Generally, by the time a house is held open, a serious buyer has already seen it. Sometimes, agents will put a home on the market with instructions that no showings will be allowed before the open house, but that applies more to seller's markets and is not the norm. Neighbors. In some neighborhoods, the neighbors make up the only people who go to an open house. Lookie Loos. There's a joke about the California Sunday pastime of going to open houses, but lots of people just love looking at other people's homes. Passersby. These are people who might be driving or walking by the home and notice the open house sign. They are probably not in the market to buy a home and are simply curious. Real Estate Agents. Agents you did not list with might stop by to see how you have prepared the home for sale, and other agents who did not have time during their busy work week to see your home might come by to introduce themselves. Future Home Buyers. Many first-time home buyers start by touring open houses to figure out which neighborhoods they might prefer and what kind of house they might want to buy. It gives them good ideas for when they are ready. Which is not now. Robbers and Thieves. What better way to case out a home than to attend an open house and examine the goodies a thief might want to stuff into an empty pillowcase in the middle of the night, than in the comfort and convenience of an open house, where such people can be unknowingly welcomed inside by the seller? Thieves give open house sellers two thumbs up. It's not the seller. 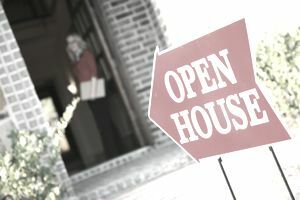 Unless the seller's home is located in an extremely popular neighborhood with busy streets nearby, it is unlikely that the open house will draw much of a crowd. It is possible that the buyer who cruised through might come back later to buy, but that probably would have happened even without the open house. To build the agent's own business. To make the seller happy. Some agents go to great lengths to showcase an open house. You might see colored helium balloons and ribbons attached to the for sale sign on the front porch to attract attention. The agent's personalized real estate signs are often set up at major intersections to direct traffic and get the agent's name out in the public's eye. Agents hope that neighbors will come by so they can talk to the neighbors and find out if the neighbors are interested in selling their own home. Agents get the opportunity to meet future home buyers who could become clients a few months from now. If a potential buyer pops in who is not interested in that particular home, the agent is hoping to impress the buyer enough that perhaps the buyer will be willing to work with that agent and buy a home through that agent. The agent probably can't wait to show that buyer a different home. So, you've got ask yourself, in whose interest is that?